ALAMO — The boyfriend of the city’s executive secretary appeared before a judge Saturday after he was arrested for impeding the investigation into her alleged leaking of city information to drug dealers. 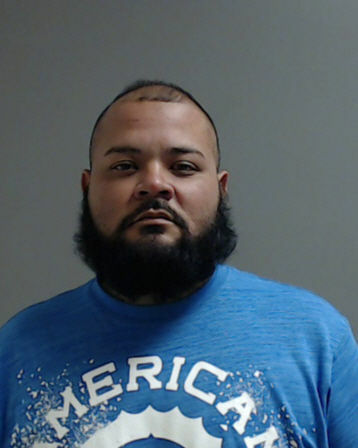 Eddie Bernal Ramirez, 36, was arrested on a tampering with physical evidence charge minutes before Crystal Denise Garza’s Friday arraignment on an engaging in organized criminal activity charge. Alamo Municipal Court Judge Celia Garcia set his bond at $40,000, the same bond given to Garza, 35. Both have been charged with third-degree felonies carrying up to 10 years in prison, if convicted. Ramirez’s arrest stems from him trying to hide Garza’s cellphone from law enforcement during the police investigation into Garza using her position as executive secretary to leak police department narcotics information to area drug dealers, according to Alamo Police Chief Baudelio Castillo. This information included department procedures, the identities and addresses of undercover officers and police targets, the chief said, who noted that the leak put his officers’ lives in jeopardy. Garza has worked for the city of Alamo for four years, according to City Manager Luciano Ozuna Jr. The city suspended her without pay Friday and she bonded out of jail Saturday. Ramirez bonded out of jail Sunday. The chief said the investigation into the security leak remains ongoing with future arrests likely.